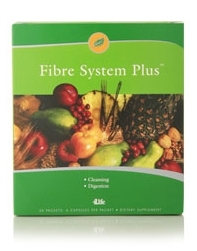 Fibre System Plus is a natural digestive support formula that gently combines both bulking fiber and herbs with digestive enzymes, which are derived from fruits to maximize digestion and minimize bowel transit time. Digestive enzymes also minimize the production of free radicals in the gastrointestinal tract and promote optimal water balance, helping to ensure proper elimination of digestive waste. "I suffered from a chronic eye problem and several specialists could not get to the source of my problem. I was introduced to Fibre System Plus. I had results after 2 days and I have been feeling great since. Thank you 4Life." "I was getting married and was a size 8. My waist was a 28. I was a little chubby. 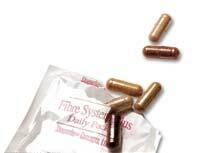 I started on the Fibre System Plus, EnzyRite and a healthy diet and exercise program. In 7 1/2 weeks, I lost 2 dress sizes and 5 inches off my waist. I was back into my college size which was a 3. Thank you for making me right."